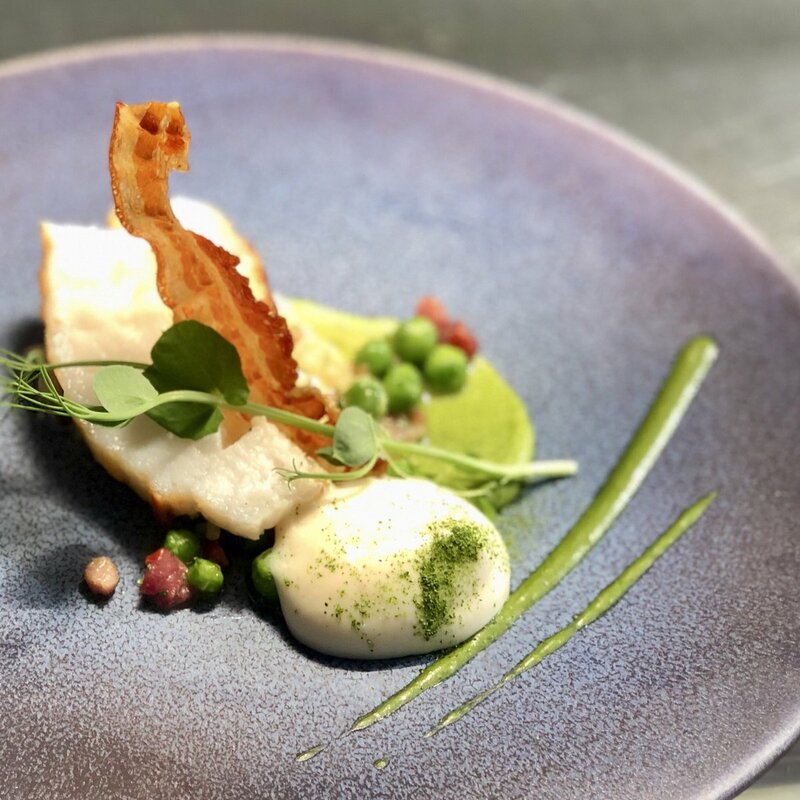 Monkfish, Fregola with Pea & Mint Purée. Neven Maguire@macneanhouse. New fish course on the menu this week @macneanhouse. Monkfish, Fregola with Pea & Mint Purée. Going down a storm with our customers!